Check out the press release...I know I'll be tuning in! Across the Deep South, heat, humidity and darn good hiding places provide a perfect backdrop for dark, despicable deeds. 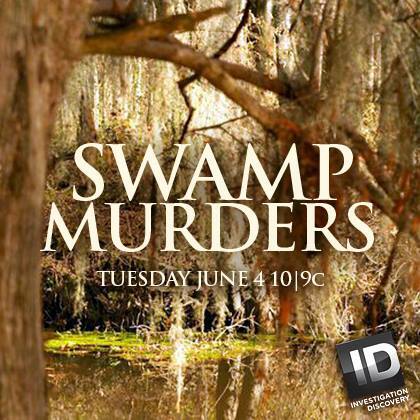 Beginning in June, Investigation Discovery’s two new series, SWAMP MURDERS and SOUTHERN FRIED HOMICIDE, transport viewers into the steamy, Southern subculture whose lifestyles and charming drawls are captivating viewers – and covering up crimes. First, murky waters take secrets to the grave in SWAMP MURDERS when bogs, bayous and decrepit docks surrounded by a tangle of marshland and moss-covered trees set the scene for mucky murder. Then, against a backdrop of Southern hospitality, etiquette, and traditional values, evil creeps in like vines on a time-honored plantation. SOUTHERN FRIED HOMICIDE proves that ugliness lurks behind Southern beauty when cracks in moral society give way to cold-blooded murder. Actress Shanna Forrestall, a native belle of Louisiana, serves as the gatekeeper to these salacious stories that give another meaning to things that “go south.” Investigation Discovery’s summer of Southern style murder kicks off with the six-part series SWAMP MURDERS on Tuesday, June 4 at 10 PM E/P, followed by the 10-part series SOUTHERN FRIED HOMICIDE on Wednesday, June 5 at 10 PM E/P. From the swampy bayou of Louisiana to the Great Lake o’ the Cherokees in Missouri and even rivers and lakes in Georgia, Texas, and Florida, SWAMP MURDERS proves that even muddied waters eventually bring secrets to the surface. The premiere episode on June 4 at 10 PM profiles wholesome 19-year-old Kathy Bonney. When Kathy doesn’t come home one day, her concerned father, Tom, turns to police for help. But when Kathy’s bullet-ridden body is pulled from Virginia’s Great Dismal Swamp, detectives discover that Kathy wasn’t as angelic as everyone was led to believe – and her father wasn’t as clueless as he let on. SOUTHERN FRIED HOMICIDE probes the juiciest stories from down in the Bible Belt, from the Carolinas to Louisiana and Tennessee. The premiere episode on June 5 at 10 PM profiles an old adage in the south: families are a bit like fudge – mostly sweet, but with a few nuts. After pedigreed Southern belle Susie Newsom’s marriage fails, sweet Susie spirals and starts to have an affair…with her disturbed first cousin. When the rest of the family isn’t exactly thrilled with the kissing cousins, their scandalous relationship ends with nine family members dead, spanning from Kentucky to North Carolina. I just saw the preview for Swamp Murders! I'll be watching it for sure! Yep, I'm an ID addict too. 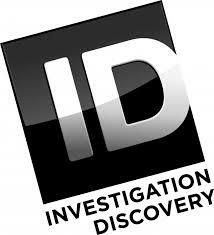 I watch On the case with Paula Zahn, 48 Hours, Dateline and Disappeard. Sadly, I recently had to get rid of it to lower my cable bill. Stupid buddles. Now, Lester Holt and I have a friday night date, Dateline that is.